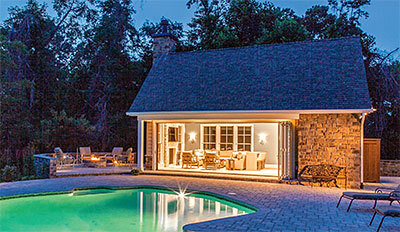 A building separate from the existing residence can present better design solutions to homeowners who covet more living and entertainment space. 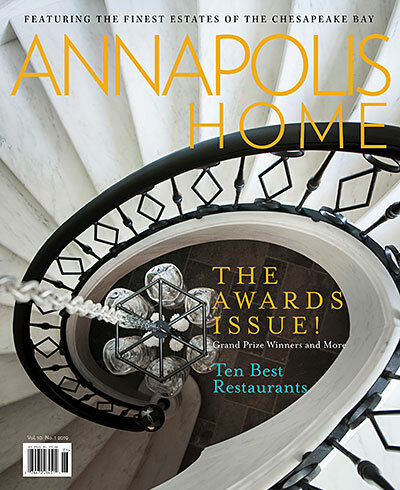 ANNAPOLIS HOME - Insider Report: 10 Best Restaurants in Annapolis. 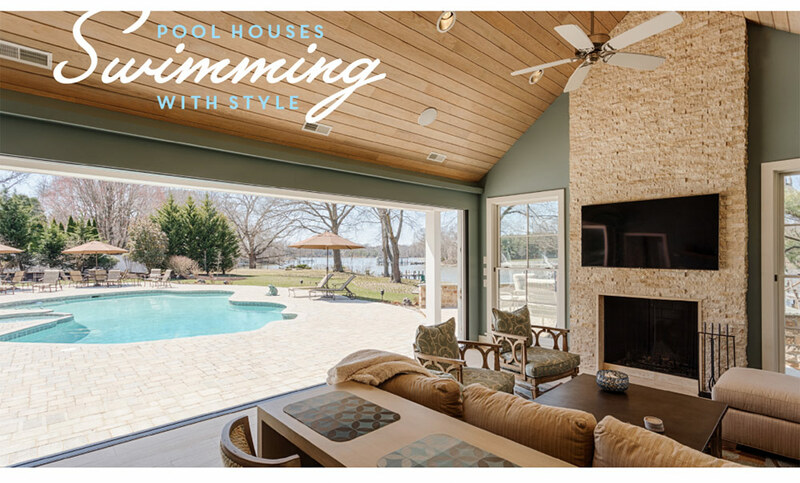 EXCELLENCE IN CUSTOM BUILDING Lundberg Builders, Inc.
Today’s pool houses are no longer utilitarian structures where you toss your towel before taking a dip. 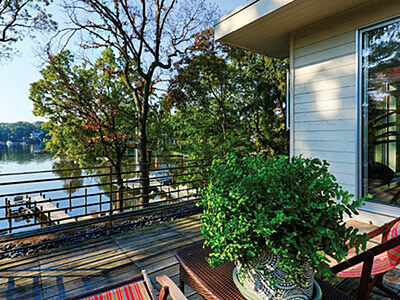 They are mini-retreats designed to echo the architecture of the primary home, joy, the voices of family life. Brad Lundberg, who launched the company in 1977, points to several factors that have contributed to its long success: financial stability, competitive pricing, the best product and trade contractors, excellent customer service and a great warranty program. 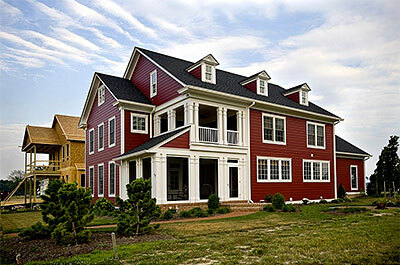 A recent project on the banks of Broad Creek demonstrates the skill and creativity the firm brings to its clients. The steeply sloped lot required close consultation with local civil engineers and county and state agencies to assure that critical-area requirements were addressed. The one-room-wide open plan gives tremendous views to the water from deep within the living spaces. Cool stainless-steel stairs contrast with warm, red lyptus-wood floors while the exterior blends light-gray stucco, dark-gray stone and stainless-steel railings and light fixtures. 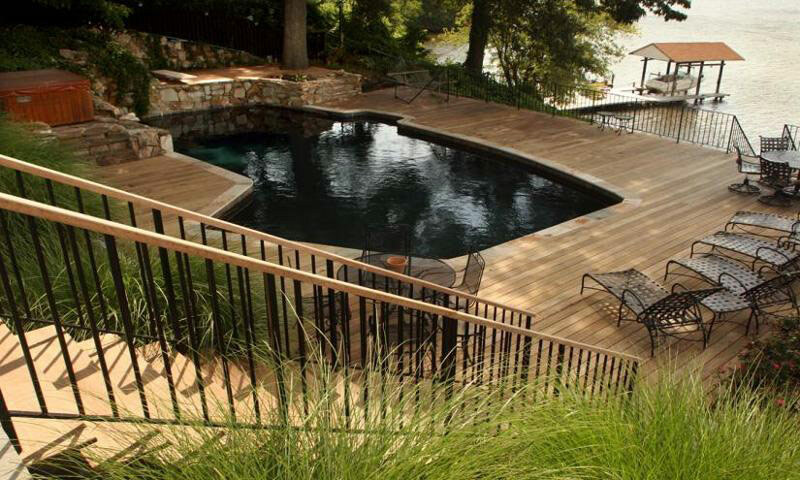 Amenities include a state-of-the-art theatre, home automation system and indoor “swim-in-place” exercise pool. 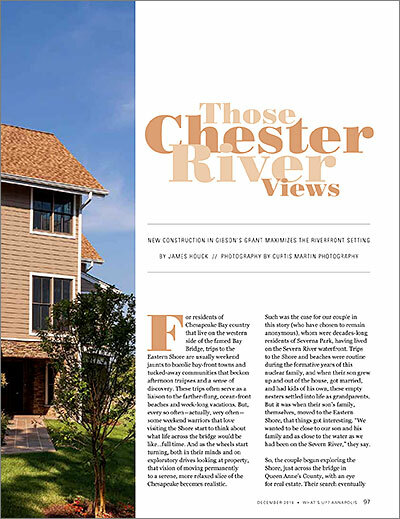 It was the wooded lot with open views to the South River that drew Jerome Clark to the half-acre property in Annapolis that was to be the site of his new home. “It’s hard to find that combination of woods and water,” Clark says. 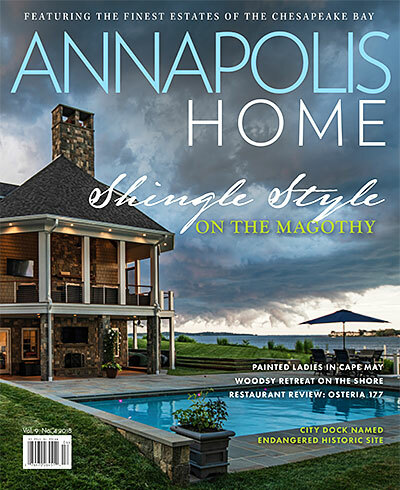 Lundberg Builders remodeled home featured in Whats Up? 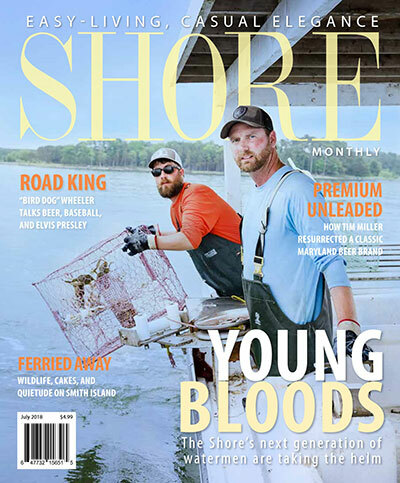 Eastern Shore. 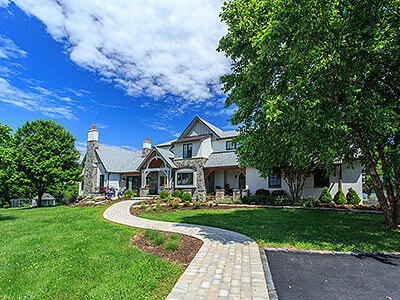 Modern Country Design Emerges at this Stevensville Horse Farm. 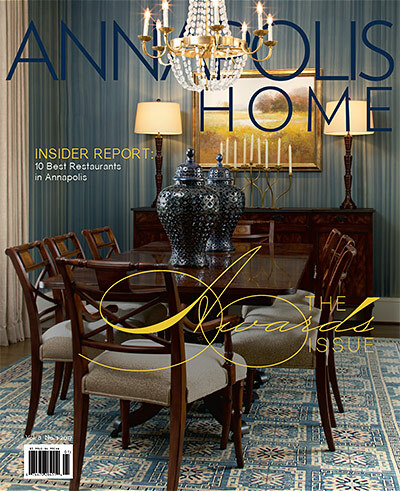 This week’s featured house, a five-bedroom home in Old Town Alexandria, has maintained its authentic style, perhaps because it has had so few owners. 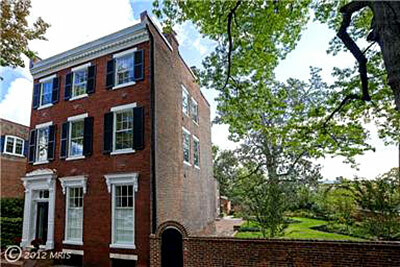 The oldest part of the home, the two-story rear section, may have been built in the 1830s or earlier. The three-story front section was built in 1856. The smoke house, now a tool shed, was built sometime in the 1800s. Other than updates to the kitchen and bathrooms, much of the house is unaltered from the 1850s. All the mantels, decorative molding, gasoliers in the double parlor and the wood floors, except the kitchen floor, are original. The Crème de la Crème! : Lundberg Builders, Inc.
June, 2011 - Over 700 celebrated the Crème de la Crème of region at the Best of Annapolis and Eastern Shore Party on June 16, 2011 at the Sheraton Annapolis, where Lundberg Builders, Inc. was honored as a winner of the What’s Up? 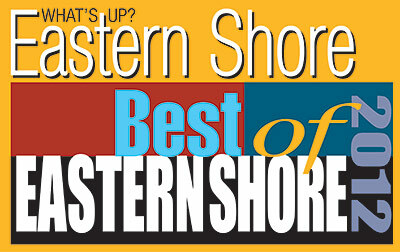 Eastern Shore reader’s poll to find the Best of Eastern Shore. 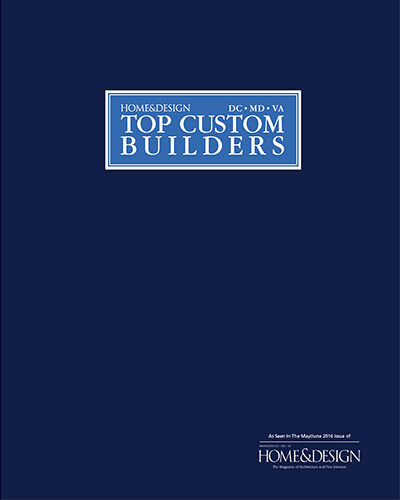 Magazine publisher Veronica Tovey awarded the staff of Lundberg Builders, Inc. with a plaque naming them Best Remodeling/Design Build/ Custom Building Services. Some say Paris is the world capital of culture, but the What’s Up? readers disagreed! France met the Chesapeake at this over-the-top party with fashion models, Moulin Rouge-style can-can dancers, the Arc d’ Triumphe, and a 15 foot Eiffel Tower! Guests sampled the Best food from winning restaurants while they rocked to the Best music by winning bands, Doug Segree and Kentavius Jones. Over $19,000 was raised at the Best Silent Auction, benefiting the Wellness House and the local charities of the What’s Up? Foundation. 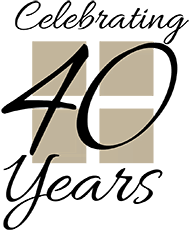 There was even a bonus at this 8th Annual soiree, free parking at the new location, the Sheraton Annapolis. The What’s Up? Best of Annapolis & Eastern Shore Party was presented by Annapolis Subaru. Other sponsors include Verizon, Severn Savings Bank, Karen Renee Interiors, Perfect Pet Resort, Sandy Spring Bank, and Menchies Frozen Yogurt. 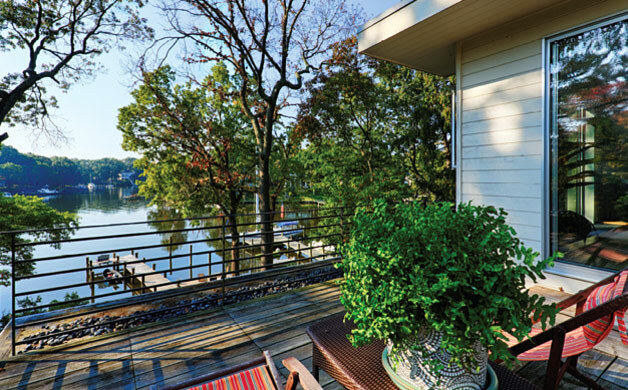 The Lundberg Builders deck at this Severna Park home is an oasis for family gatherings. 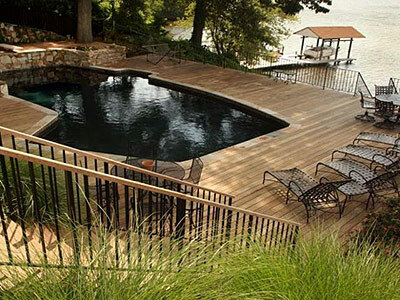 It is a place to swim, eat, play the guitar and just relax. 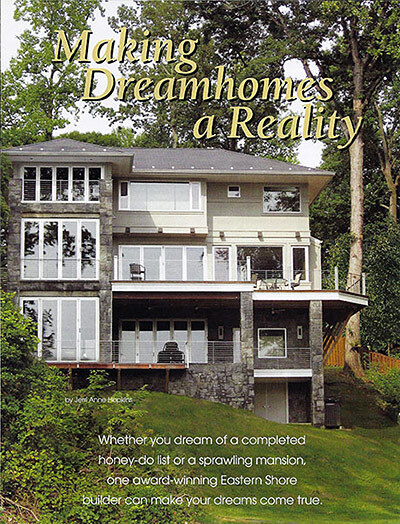 Throwback Thursday-Take a look at some of our work featured in the article “Making Dream Homes a Reality” in the May 2007 Edition of Solutions at Home. 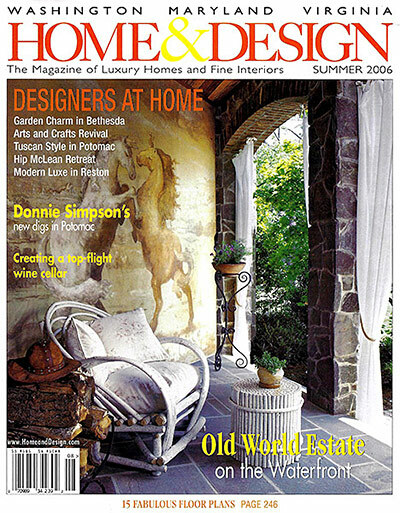 Pictured on the cover of the Summer 2006 Edition of Home & Garden, is a monumental home built by Lundberg Builders. 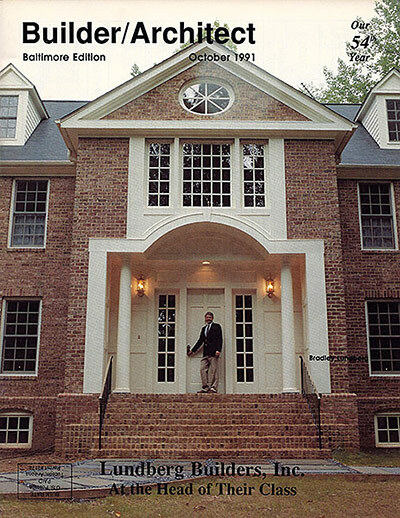 Brad Lundberg, pictured at one of his Custom Homes near Annapolis, on the Cover of Builder/ Architect Magazine Baltimore Edition October 1991. 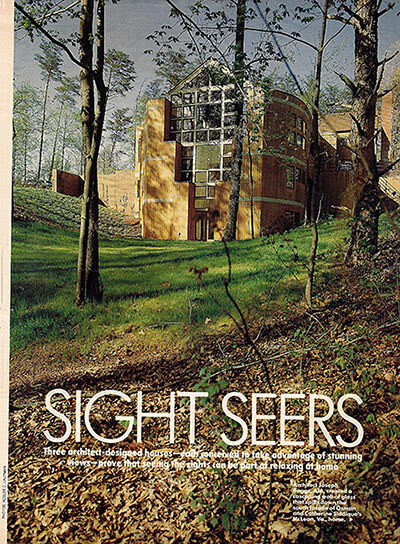 Throwback Thursday - Pictured on the first page of the “Sight Seers” article featured in the July 1985 Edition of Home Magazine is a Magnificent Custom Home built by Lundberg Builders. * To ensure the security of the information, type the code (displayed below) in the box. 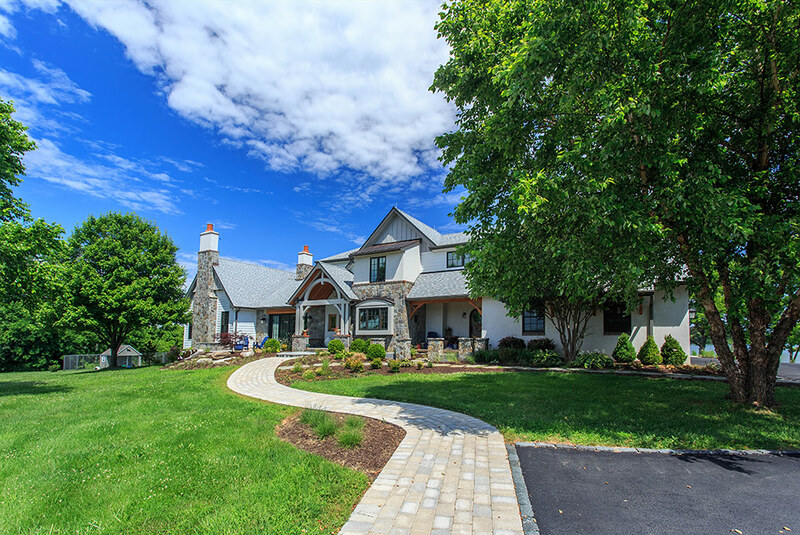 © 2019 Lundberg Builders, Inc.